Featuring advanced aerodynamic design measures such as Flow Acceleration Channels and Noctua's AAO frame, the NF-A6x25 is a highly optimised, premium quality quiet fan in 60x25mm size. Smooth Commutation Drive technology and Noctua's reference class SSO2 bearings guarantee superb running smoothness and excellent long-term stability. Topped off with modular cabling, Low-Noise Adaptors and 6 years manufacturer's warranty, the NF-A6x25 is a premium choice for the highest demands. 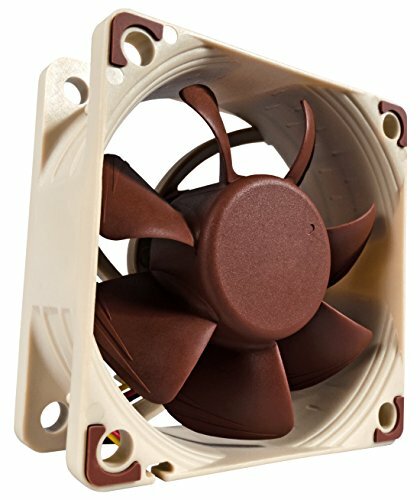 Noctua's Stepped Inlet Design adds turbulence to the influx in order to facilitate the transition from laminar flow to turbulent flow, which reduces tonal intake noise, improves flow attachment and increases suction capacity. With the tips of the fan blades ploughing thru boundary layer created by Inner Surface Microstructures, flow separation from suction side of the blades is significantly suppressed, which reduced blade passing noise, improved airflow, pressure efficiency. The latest version of Noctua's advanced Smooth Commutation Drive system ensures superb running smoothness by eliminating torque variations and switching noises. This makes the NF-A6x25 remarkably quiet even at very close distance.